In the biochemistry laboratory, most routine samples that are collected for laboratory testing are blood and urine samples. Fluids such as cerebrospinal fluid, synovial, peritoneal, ascetic fluids are not common as compare to blood and urine samples. This is due to these fluids require complicated procedures to aspirate from the body. For most of the body fluids biochemistry analysis, it is recommended to run paired samples, fluid together with blood samples, in order to confirm the diagnosis of diseases. Basic knowledge on different types of body fluids are crucial as these fluids are part of the vehicles that involve in the causes and manifestation of life threatening-diseases such as heart failure and cancers. Protect the brain within the skull and the spinal cord against any impact to the Central Nervous System (CNS). Circulates chemicals and nutrients that are filtered from the blood. Removes waste products and harmful metabolites from the brain. CSF biochemistry test is requested by the doctor when the patient is having symptoms involving Central Nervous System (CNS). For instances, severe headache, difficulty with speech, seizure and etc. Mainly, two analytes will be analysed by the laboratory technician which are protein and glucose. Elevated protein value – As protein is a large molecule, this molecule does not easily cross the blood brain barrier. Therefore, when CSF protein is elevated, this suggests that the blood brain barrier is damaged and patient might suffer from meningitis, haemorrhage (excessive bleeding) or multiple sclerosis. 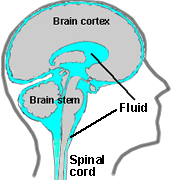 Reduced protein value – Fluid is leaking from CNS. Normal glucose value for CSF is typically 2/3 of the blood glucose. Elevated glucose value – As a result of plasma elevations. Low glucose value – Indication of bacterial or viral infection which also depends on the full blood count test results. CSF glucose is usually reduced when foreign cells such as bacteria or elevation of white blood cells (WBC), mainly neutrophils, consume glucose. The diagnosis would favour bacterial meningitis. Likewise, if the CSF glucose value is normal, but WBC is elevated mainly monocytes and lymphocytes, the patient is suspected having viral, fungal, or parasitic origin infection. Transport median for nutritional substances such as glucose. This test is usually requested by doctors in medical cases like joint inflammation or joint injury. Biochemistry analytes such as total protein, glucose, albumin and lactate dehydrogenase (LDH) and uric acid are considered clinically important. Glucose -Typically, under fasting condition, the concentration of glucose in the synovial fluid should not be more than 0.55 mmol/L lower than blood value level. Low value of synovial fluid suggests infection or joint inflammation due to glycolytic activities of bacteria of white blood cells. Protein – As protein is a large molecule, these molecules are not filtered through the synovial membrane. 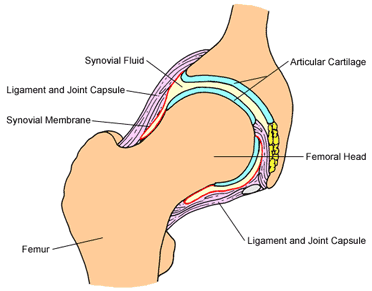 Normal synovial fluid protein is approximately 1/3 of blood plasma value. Synovial membrane permeability is altered by inflammation. Thus, the elevation synovial protein value indicates that patients might suffer from hemorrhagic or inflammatory of joint. Lactate dehydrogenase (LDH) – LDH is usually raised in condition like rheumatoid arthritis. Uric acid – Synovial fluid uric acid test is performed to verify the diagnosis of gout apart from the result obtained from the serum uric acid test. 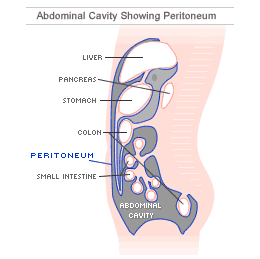 Peritoneal fluid is fluid that is located inside the abdominal cavity. Functions of peritoneal fluid are to support the abdominal organs and reduce friction caused by the movement of the abdominal organs. Abnormality occurs when this peritoneal fluid accumulates inside the abdominal cavity which causes ascites and abdominal pain. Transudate: An imbalance pressure within blood vessels due to condition like liver diseases. Exudates: Injury or inflammation of the peritoneum that causes excess amount of fluid inside abdominal space such as malignancies. The most important biochemistry test to perform for peritoneal fluid analysis is albumin. In order to differentiate between transudate and exudate condition, albumin levels will be analysed for both serum albumin and peritoneal fluid albumin. The difference will be evaluated (serum-ascites albumin gradient (SAAG)) to determine the occurance of transudate or exudates condition inside the abdominal cavity. Value of SAAG above 1.1 g/dL is considered evidence of a transudate condition. Value of SAAG below 1.1 g/dL is considered evidence of the occurrence of exudates. Glucose – For normal patient, glucose value should be almost equal to the blood glucose levels. However, if infection does occur, peritoneal fluid glucose value will be low due to glycolytic activities of bacteria or white cells. Pleural fluid is the fluid produced inside the chest cavity and surrounds the lung. Function of pleural fluid is to act as lubricant during breathing. The accumulation of fluid inside the pleural space is called pleural effusion. 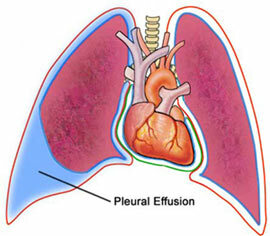 Pleural effusion may occurs due to conditions such as heart failure and pneumonia. Transudate: An imbalance pressure within blood vessels or low blood protein concentration which causing fluid to leak inside the pleural space. This condition is normally due to heart failure or cirrhosis. Exudates: Injury or inflammation of the pleurae that causes excess amount of fluid inside pleural space. Exudates effusion usually occurs in cases like pneumonia, tuberculosis and cancer. Pleural fluid sample will be aspirated from the lung to diagnose patients with chest pain and difficulty in breathing. The biochemistry tests that are related to pleural fluid analysis are total protein, albumin and LDH level. Total protein, albumin and LDH level will be low. Total protein, albumin and LDH level will be high. Glucose level will be low. Porcel, J. M., & Light, R. W. (2006). Diagnostic Approach To Pleural Effusions in Adlut . Am Fam Physician . 3. Strasinger, S. K., & Lorenzo, M. S. (2008). Urinalysis and Body Fluids. Philadelphia.